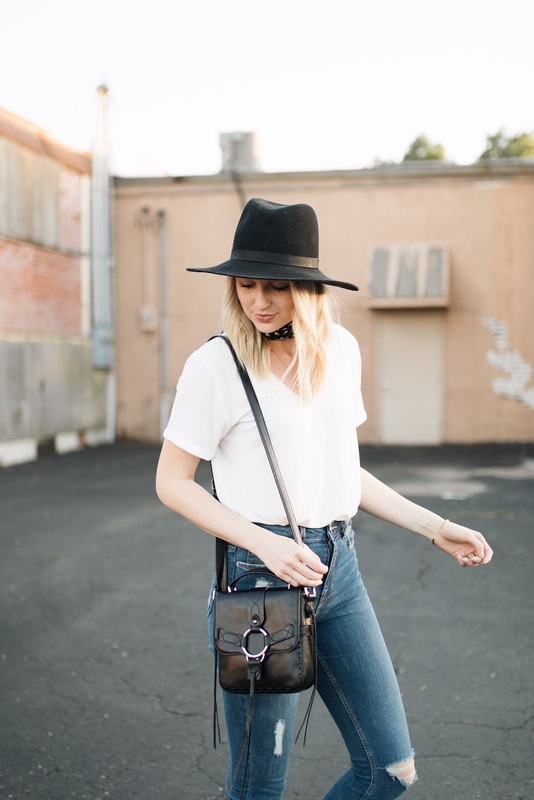 One of my top shopping priorities or tactics is to always have accessories that can make the most simple of outfits "pop." 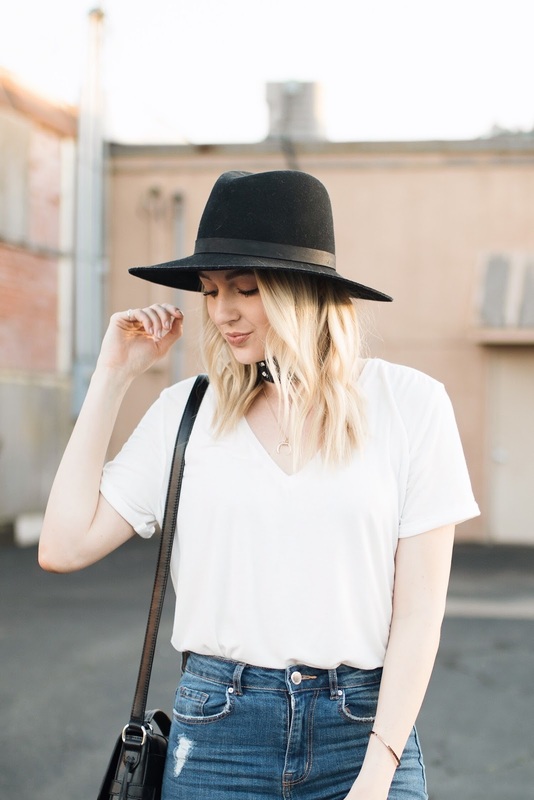 In this case I'm just wearing a basic tee + skinny jeans, but I made it a [blog-worthy] styled look with a few great accessories. 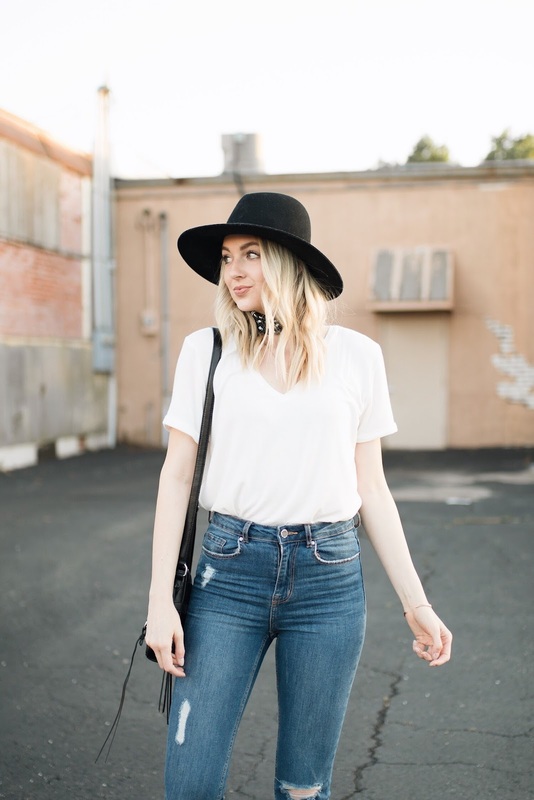 If you're on the hunt for a great pair of high-waisted skinny jeans that are bank account friendly, these are your jeans! I've been wearing them so much and have been neglecting all of my other jeans! They actually hit my natural waist (above my belly button), have a really good slimming, stretchy fit, and the raw hem is perfect. Oh, and they're $30!! I'm typically a size 2, but got a 4 in these (H&M bottoms tend to run quite small). 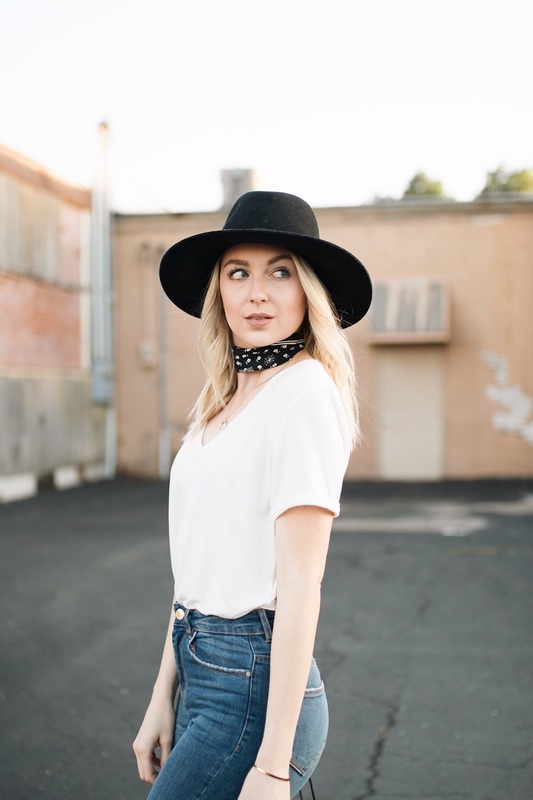 If you've been wanting to get in on the bandana/neck scarf trend, then I found some gorgeous options here and here. 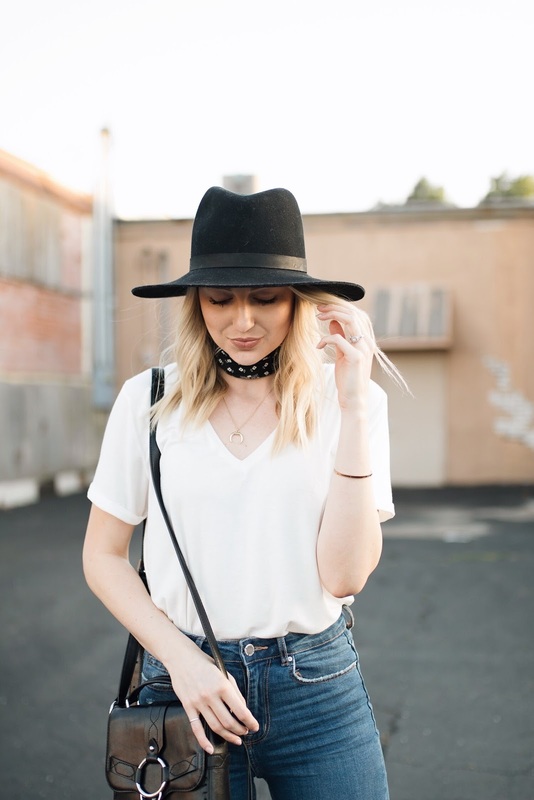 I've found mine to be surprisingly versatile because you can tie them onto a bag (like I did here), or wear them a few different ways around your neck (I showed some options in this post). I hope you girls are having a great week! My bestie & incredible photographer Jo (you'll want to follow her!) is coming into town to stay with us tonight and then tomorrow we'll head up to Columbia for a couple of photo shoots and to visit my best friend from college (shoutout to Ash!) and Brianna! It's going to be an amazing couple of days and I'm looking forward to seeing almost all of my girls!